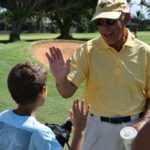 A legendary tournament that began over 43 years ago with a conversation between member Lester Hamai and then pro shop manager Dorothy Tam Ho played its final round Saturday, October 28, 2017 at Maui Country Club. Mahalo to Hamai Appliance for their faithful sponsorship all these years. 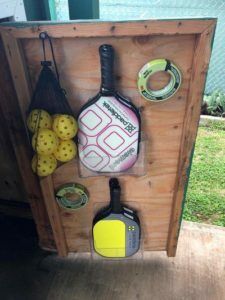 The competition has stayed true to its mission of promoting women’s golf on Maui, and encouraging the sport among the local ladies. 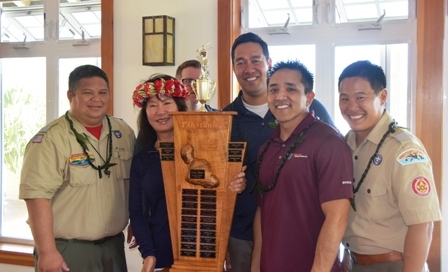 Dot’s establishment of the tournament as a benefit to the Boy Scouts of Maui rallied nearly $90,000 in donations to the deserving local charity. 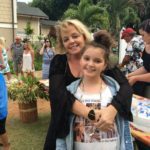 Hamai’s sponsorship, in latter years in tandem with the Servco Pacific Foundation provides generous prizes so that no one goes home empty-handed. 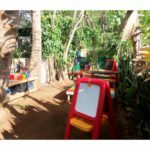 From mattress sets and flat screen SMART TV’s, sound systems, to the latest kitchen & home appliances, to generous cash prizes, the ladies in this tournament score BIG! 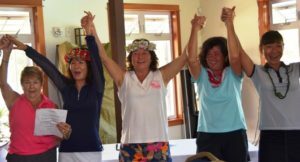 It started with a breakfast buffet in the Golf Pro Shop, with homemade goodies from the kitchens of our Women’s Division members before they hit the course for an early morning shotgun start. The Scouts were on hand with tee gift bags for all the ladies. Lunch was a delicious buffet and was highlighted by a nostalgic presentation as part of the entertainment.